David Shrigley’s drawings, sculpture, happenings and films follow the anti-art traditions of Marcel Duchamp and Andy Warhol. ‘This is not art, this is not important’. 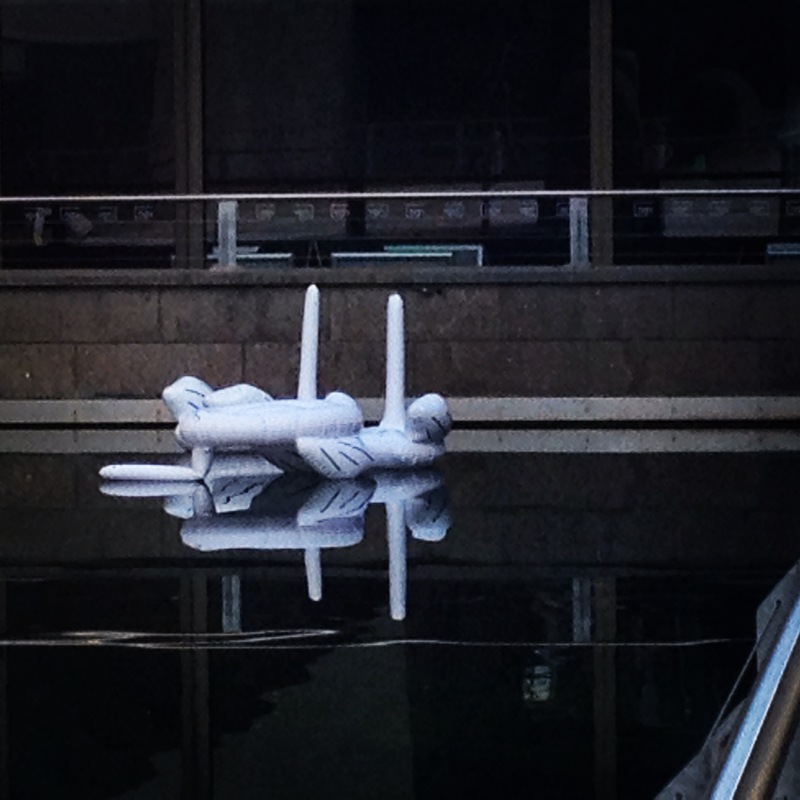 Then why did the NGV host his work and float his head-less toy swans in the moat. Shrigley has a mass appeal. Since 2005 he has produced a weekly cartoon for the UK’s Guardian newspaper. Michael Leunig cartoons, that have appeared weekly in The Age draw similar references, however Shrigleys message, is less emotive and more ‘slap stick’. 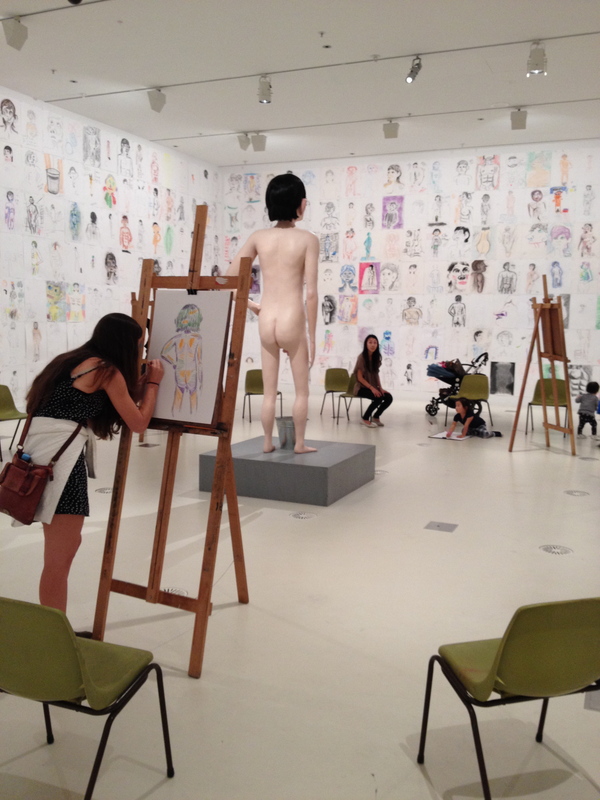 The exhibition housed an interactive life drawing class where the live model was replaced by a naked cartoon sculpture, like a garden cupid fountain, it too, relieved itself. A motorized head entertained visitors and there were ‘boring’ films. The film of a cartoon figure sleeping ‘A Napping Station’, is a parody to the Andy Warhol film, Sleep. The NGV website noted a remark by the English art critic Adrian Searle. The most important thing to have when examining his work is your sense of humor.